Google is by far the best search engine available today. 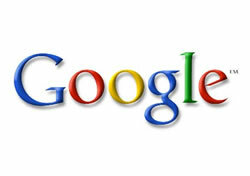 Statistics say that Google owns 47% of all searches performed on the internet worldwide. That's pretty staggering for a company that is just now 13 years old. Google is worth more than Wal Mart, IBM, FedEx, Coke, and many more fortune 500 companies. The reason for their almost overnight success is that the inventors thought outside the box, ahead of their time, and developed a new method (and eventually set the standard) for website searching. They changed the way search engines would work. Instead of their search results being based on the number of times the certain searched key words appeared on the web page anywhere, they designed Google to search for real and relevant results. Google search engine rankings are based on unique content, rich text, and relevancy to the words being searched for. 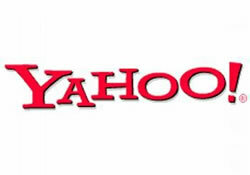 They actually created search engine algorithms to determine search engine ranking for web pages. 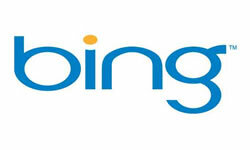 This would end up revolutionizing the search engine world, and put them at the top of the market. You often hear people talking about a google update. This is where google has updated their algorithm to read further into content of websites. Yes, they are such a strong presence, that each time they modify their algorithm, the search engine optimization world sits around and hopes that they are not impacted. Organic content is by far the most important factor in the ranking process for Google. If you are going to have a web page, you better make sure that you have 100% organic content, meaning that the text that is written on the pages were written by a human. This only makes sense, as black hat SEO (search engine optimization) techniques take away from the hard work of people trying to provide relevant content. Black hat SEO techniques basically cheat the system and end up providing irrelevant information, and often just purely spam. Google creators figured out that if they could find a way to eradicate these web pages from their site, more people would use it. Doesn't it only make sense that if you find exactly what you are looking for from a certain place, you will be back over and over? Of course it does. Google also is not opposing of SEO, but errs strongly on the side of organic, original content. They constantly change these algorithms they use to determine search engine ranking to try to eliminate spammers and black hat SEO, therefore, always returning the most relevant search results for the consumer. Since Google search engine rankings are based on unique content, there is a certain way that this content needs to be written to be effective in the search engine results. Keyword research is the first step in writing copy for the purpose of doing SEO for Google. Researching key words means using softwre to search for all the key words that people use to find your specific product or service. Based on this list, you can choose the top 4 or 5 key words to use in your website content. Use the main one the most, then the second one less than the first, and so on. Always make sure that your content is unique and relevant. Google's meta crawler can detect whether the content has been copied or has been created using a text generator, so make sure you always make it your own!